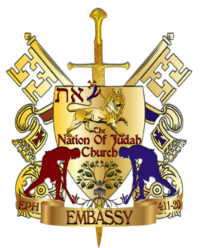 The Nation Of Judah Church is committed to fulfilling the Great Commission given by Yahshua for us to continue the work the of the Apostles and Disciples Commissioned by Yahshua. The importance is for all us to teach the Word of Elohim, to every living creature in the world. Evangelism is the key to telling our brothers and sisters the Truth in the Word of Yahweh, as well as about the salvation, redemption, and reconciliation that Yahshua provides through His sacrifice on the tree. This is not for the faint of heart, and requires humility, study, commitment, prayer, fasting, and patients. Discipleship is a calling of servitude. Yahshua reminded the Disciples John (13:16) "Verily, verily, I say unto you, The servant is not greater than his lord; neither he that is sent greater than he that sent him." Classes will begin soon... If you are interested, Click here and fill out the for and we will contact you when training starts.